I wrote a guest post on Canadian Budget Binder called “How I Paid off $100,000 in Tax Debt (and How You Can, Too)“. Mr. CBB has put together a very comprehensive site dedicated to helping people stay frugal and financial responsible. It is a great honor for me to have been chosen to be a contributor. Mr. CBB was one of the few bloggers who put me “under his wing” when I was first starting out. I owe a lot of my blogging wisdom to him! Please feel free to comment on the post and share it on your favorite social media sites. Enjoy! I’m not done paying off all my debts yet, but I recently hit the century mark and wanted to share with you all how I did it. I have paid off $100,000 in tax debt in 17 months, and am a few months away from being debt free for the first time in 20 years. I am a musician (a trombone player) who found myself making quite a bit of money doing something I love. I read all the time about people who make a lot of money but hate their jobs; that was not me, which made my predicament a bit tricky. When I got into debt and spent more than I earned, I would justify it by saying to myself that I would work forever. It still got old, and I still got tired of being in debt. Even though I love the work I do, my debt left me “trapped” in certain areas of life. Sometimes I would rather stay home with my kids than play a concert…I did not have the latitude to say “no”, since I needed the money. My debt pay-off has really allowed me to follow my passions, and only my passions. Hey, it’s easier said than done. As obvious as this step is, you have gotten into debt by spending more than you earn, which is a habit. You can’t break the habit, but you can build newer, better habits on top of it. 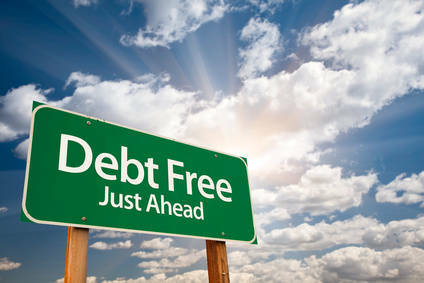 The first step on the path to debt freedom is to stop using credit. Cut up your cards. Stop borrowing money. Credit cards are not your safety net. Credit cards are not to be used for convenience. Using credit cards for cash-back bonuses usually doesn’t work out (you spend more than you would normally using a card…period). Listen to me: You don’t need credit cards. If you absolutely must have one, wait until you are completely out of debt. At this point in my life, I am pretty sure I could use one responsibly, but I choose not to do so. After you get rid of the credit cards, call every company that you have recurring payment with and cancel the payments. Do not have recurring payments come out of your credit cards. Stop using them altogether. Don’t cancel your credit cards. In fact, call them all up and negotiate a better interest rate. Most of them will oblige! If you don’t have emergency savings before you begin paying down debt, you’ll never be able to cope with unexpected expenses. Again, credit cards are not to be used for emergencies; only cash. How To Start An Emergency Fund? Ideally, you should save $1,000 as quickly as possible to start before throwing money at debt. If your expenses are low, you may be able to get by with a $500 savings plan. 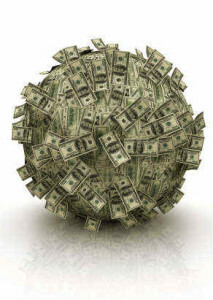 This money is for emergencies only. It’s to be used when the car breaks down or the plumbing bursts. Keep this money liquid, but not immediately accessible. Go at your debt with reckless abandon. You are going to throw every cent you can at it, as often as you can. You will hear people always tell you to pay your high interest debts first. Obviously, this makes the most sense mathematically. We all know the math, but paying off debt is a behaviour modification issue. I used the debt snowball method to solve the behaviour issue. List your debts from lowest balance to highest. Throw every other penny you possibly can at the debt with the lowest balance. I love the debt snowball. Until I discovered it, I thought I’d never get out of debt. Though it still takes time to pay off your debts, you begin to see results almost immediately, especially if you have some credit cards with low balances. 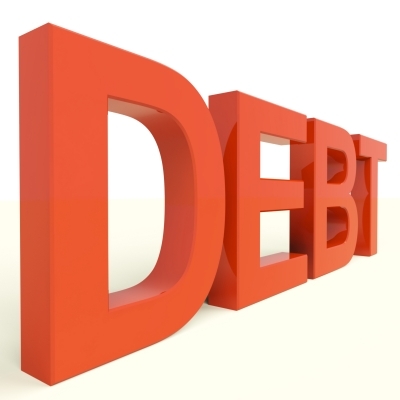 A third method to approach debt elimination is to first target the debts that cause you the greatest headache. Do you have a loan from a family member or a friend? Do you hate the fact that you borrowed money for new car tires? Whichever loan bugs you most, pay it off first. Regardless which method you choose for attacking your debt, put as much money as possible toward this goal. Apply raises and windfalls (like income tax refunds) directly to your bills. Sure, you’d rather spend that birthday cheque for a nice dinner out, but you need to use it to get the debt off your back. To begin, curb your spending. Develop frugal habits. Mr. CBB has also shared some excellent tips for frugal living and how to budget that you can learn from and apply to help you slice debt and win the battle. I finally realized that frugal living is not being “cheap”. Frugality and thrift used to be core values in our society, but we lost touch with these ideals during the age of easy credit. Find ways to stretch your dollars and you are on your way toward being thrifty. While you learn to spend less, do what you can to increase your income. If possible, sell some of the stuff you bought when you got into debt. Use eBay, Kijiji or Craigslist or Amazon to get some cash from the things you own. Consider taking an extra job or working longer hours. Finally, go to your local public library and borrow Dave Ramsey’s “The Total Money Makeover”. This is a wonderful guide to getting out of debt and developing good money habits. This book, and others like “Your Money or Your Life” were paramount in helping me change my views on money. The most important thing is to start now. Don’t procrastinate any longer; start tackling your debt now. Have patience at the beginning and don’t get discouraged. Your efforts may seem small and insignificant, but in time, it really adds up. If you’re willing to stay the course, you’ll have your debt paid off sooner than you ever thought you could. I wish I’d started paying off debt sooner. Maybe if I had, I wouldn’t have been in debt for 20 years!